Notes on News: Should we listen to the film critics? You are at:Home»Film»Features»Notes on News: Should we listen to the film critics? It’s the critics’ reviews that tend to grab people’s attention and give us some kind of preconceived idea of what film we may be about to see. In the last year in particular the review collation website Rotten Tomatoes has proved to be a welcome boost of adrenaline for some films but for others it has chained an anchor to their ankles and prevented them from surpassing a certain benchmark. Recently director Brett Ratner has publicly criticised the site, calling it the: “worst thing that we have in today’s movie culture” and “the destruction of our business” to be specific. Is Ratner right? Should we ignore sites like Rotten Tomatoes that provide a highly publicised platform for critics’ reviews? Or should we follow the guidance and listen to the critiques of these critics who are paid to give their opinions on movies? 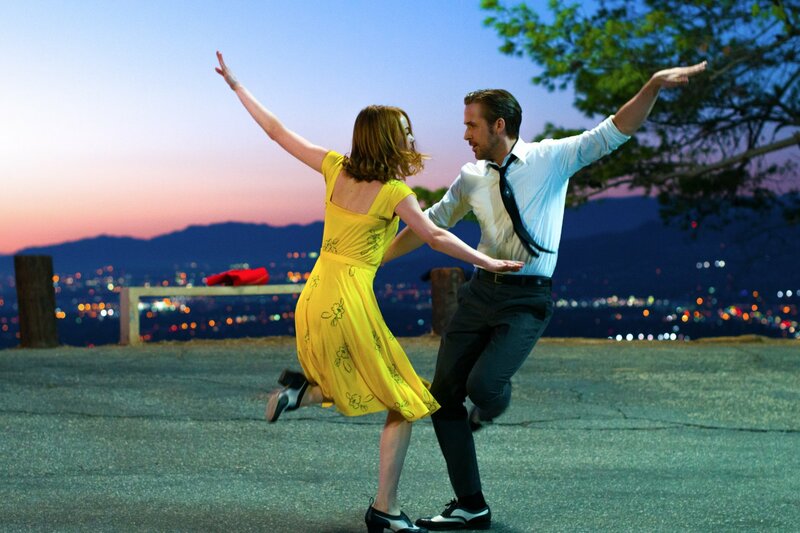 La La Land: Overrated? (Photo by Dale Robinette). Ratner is right – All film is subjective after all. We all like different things for different reasons, it’s the same for all areas of entertainment; music, TV, books, all of it. My favourite film, for example, is Lord of the Rings: Return of the King. I like it for a number of different reasons such as its visuals, storytelling, acting and the impact it had on me at the time of release. Others however may not like it because of, to pick one reason, its length. Whilst people do share opinions and views, a lot of the time with film it’s all subjective and divisive. Just look at the two awards season big hitters Moonlight and La La Land, both have been levelled with the “overrated” criticism, yet both have received the “masterpiece” stamp of praise. If film is so subjective, why should we listen to a critic’s opinion? Shouldn’t we just go and form our own opinion? Let’s do some math based on the average pricing of an afternoon or evening out at the movies. Movie tickets tend to be an average of £9. Add onto that the potential of drinks and snacks which is usually priced at around £5. Then there’s travel costs of getting a bus or paying for parking which would probably be around £4. Then maybe you want to go out for a meal before of afterwards, add on at least another £20. All in all, a trip to the movies could potentially cost you between £30-£50. So say I’m planning to go and see Batman v Superman with my friends, we’re going to a car park that charges £1 an hour, the tickets are £9 as it’s a prime-time showing on a Saturday night, we’re getting some popcorn and drinks for £5, and we’re going for a meal before hand and we each spend around £20. In parking our car, going for dinner, seeing a two and a half hour movie and buying all those snacks, we’re easily going to spend £40 each. But hang on, the movie has 27% on Rotten Tomatoes… oh… Movie going is expensive, why should I spend £40 to go and see a bad movie? I’ve just saved myself some serious coin by listening to the advice of critics. Fanboys, the movie and the people (Image courtesy of the Weinstein company). 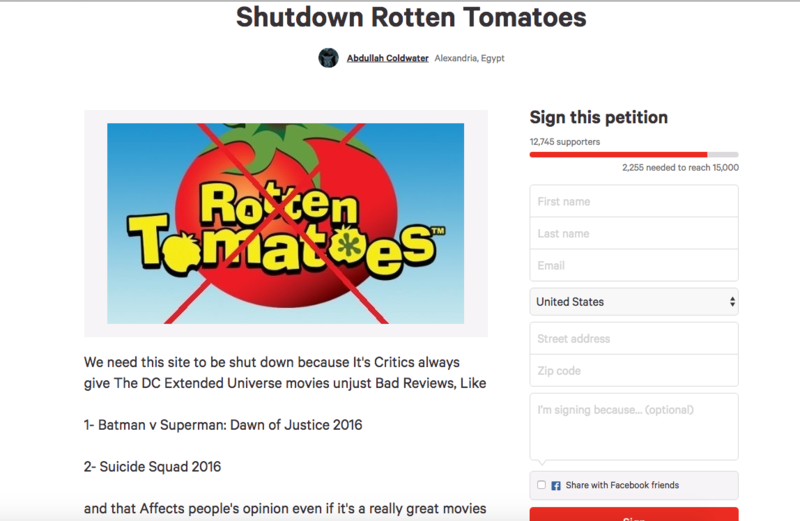 To go back to the Batman v Superman/Suicide Squad well once more, the rotten scores on Rotten Tomatoes for these two films led to one fan starting a petition to shut down Rotten Tomatoes because they gave DC movies low scores. On top of this, the way certain films are reviewed and presented by reviewers and collation sites often causes aggressive division among fans, most notably the MCU v DCEU fan war. And as a result of all this, we get internet trolls and immature, petty abuse being hurled around as if it’s normal. The reception of a film can go from being a statistic or general consensus to a spark for a raging fire of nerd rage, ruining internet culture and fandom. Let’s face it: Brett Ratner really isn’t in a position to be saying these things. Of the films Ratner has directed, only four have managed to rate higher than the 60% “fresh” mark on the site, the general consensus is that he’s not all that great of a director. If someone like Steven Spielberg were to say these things, then maybe we could look at it in a different way, but when it’s the director of X-Men: The Last Stand then we should take it with a pinch of salt. This harks back to the point regarding subjectivity. Critics will critique a film on much more specific aspects than a casual moviegoer will. It’s their job after all; they will examine characterisation, writing, cinematography, narrative coherency and flow, and acting. These are things that a casual moviegoer won’t necessarily be concerned about, just look at how successful the Transformers franchise has been at the box office. Critics tend to score the dramas higher than the action films, but the everyday audience is much more likely to try and see the latter in the cinema, regardless of what the critic says is better. THE PERCENTAGE GIVEN TO A FILM IS JUST THE PERCENTAGE OF HOW MANY CRITICS GAVE IT 6/10 OR HIGHER, IT’S NOT THEIR AVERAGE RATING OF THE DAMN FILM!!!! !